The milestones of this program act as the road-map to sustainability. 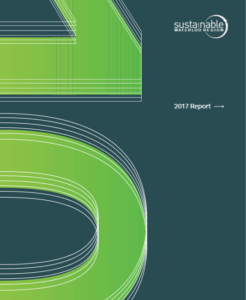 It guides impact reductions and program participation while helping to integrate these reduction targets and practices into your business, with measurable benefit. 1 You meet with the Regional Sustainability Initiative team and we create a sustainability plan together. We’ll get access to the member only online portal for resources, best practices, and more. With these tools in your hand, we set you up for success. 2 The Regional Sustainability Initiative team trains you on the Energy and Sustainability System, and shows you how to complete the Environmental Impact Assessment. Together we will identify the area(s) (carbon footprint, waste diversion, water footprint, or a combination of those) where your organization will have the greatest impact. 3 Share your impact. This stage allows for the measurement and sharing of the ways you have integrated sustainability into your organization. This is done through the Environmental Impact Assessment. In milestone 3, we release it to the public and continue to track your progress over time. 4 You show off your sustainability chops by walking the talk, by becoming a Pledging Member. This means, we make a public environmental impact target in your chosen target(s), in carbon, waste or water, or all three. You’ll provide your annual data, and we will share your results publicly. Have you ever heard of B Lab? If not, check them out. B Lab believes that businesses should “Measure What Matters” and be a force for good. So do we! We have modified their online assessment to generate an E-Score (environment score). The environment impact assessment helps organizations measure, compare, and further integrate sustainability into all the areas of their organization. By going to our customized assessment, you can log in and complete the assessment to see how you are doing on issues of sustainability compared to peers, locally and across the world. The assessment tool also provides tips to improve your score and reduce your impact! Take our Environmental Impact Assessment, and join us in the movement of people using business as a force for good. A greenhouse gas (GHG) footprint measures the amount of greenhouse gases that your organization emits to the atmosphere. Waste diversion measures the percentage of waste that you recycle or reuse, focusing on keeping materials out of landfill. You can read more about it here. A water footprint measures the water impact of your operations. It includes stormwater, water consumption, and waste water. You can read more about it here. Setting a sustainability target likely means you are financially outperforming your peers. The Regional Sustainability Initiative team will help you with key target-based decisions. For each target area (carbon footprint, waste diversion. water footprint), there are three target levels (Gold, Silver, Bronze). An organization can set a target in one or a combination of the three areas. 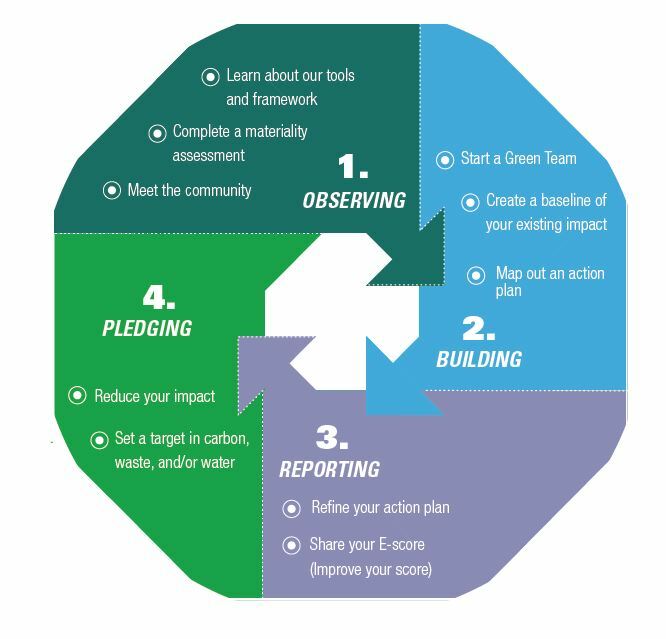 With the help of the Regional Sustainability Initiative team, each “Pledging Member” will report their key performance data to our team to measure environmental impact of the target and actions taken to reach that target. Together we will help you set a target and reach it, in ways that are good for business. This program is designed to encourage transparency and accuracy when reporting sustainability metrics. Click here to learn more about the key principles that guide the Regional Sustainability Initiative targets.